Each winner will receive an Addis Spray mop, a new fold flat laundry basket and clear trays to organise and contain household cleaners. With the spray mop there is a no need for a separate mop pail & wringer and comes complete with a refillable bottle so the mop is always ready to use. Our newly launched fold flat laundry basket is the ultimate in space saving design. This collapsible laundry basket folds flat when not in use for easy storage and can be stored between your washing machine or in a cupboard. It has a large 38L capacity with convenient carry handles. 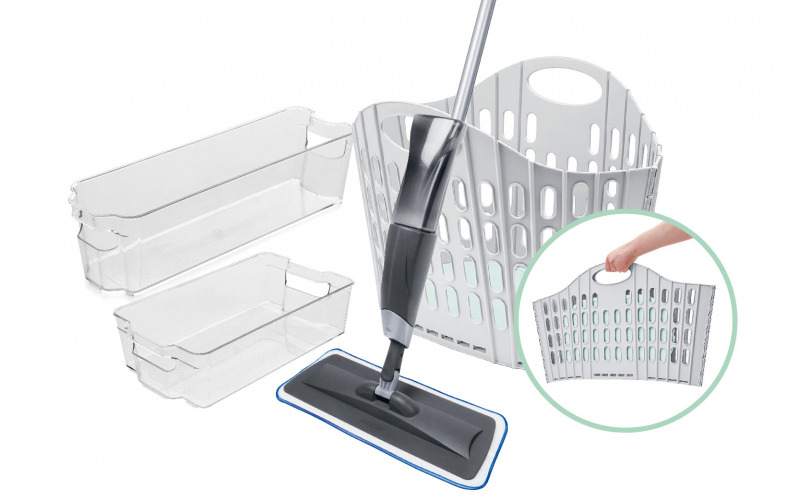 The clear storage trays are ideal to store all your cleaning essentials and being clear make it easier to view what you need on your next shopping trip.